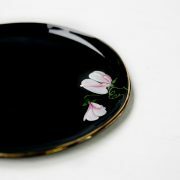 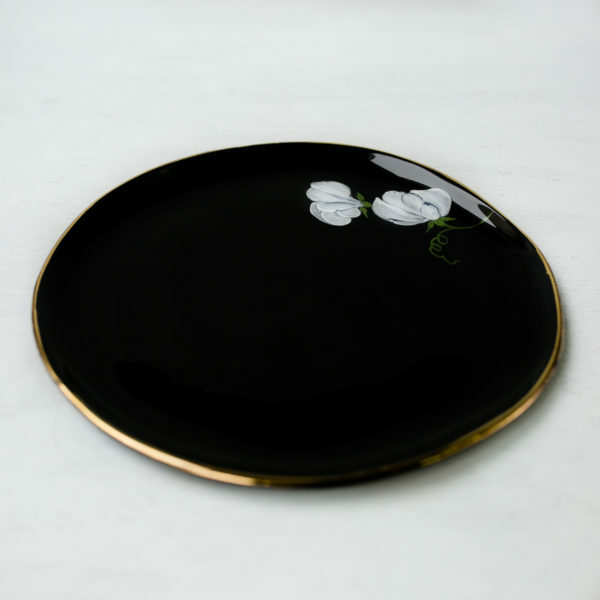 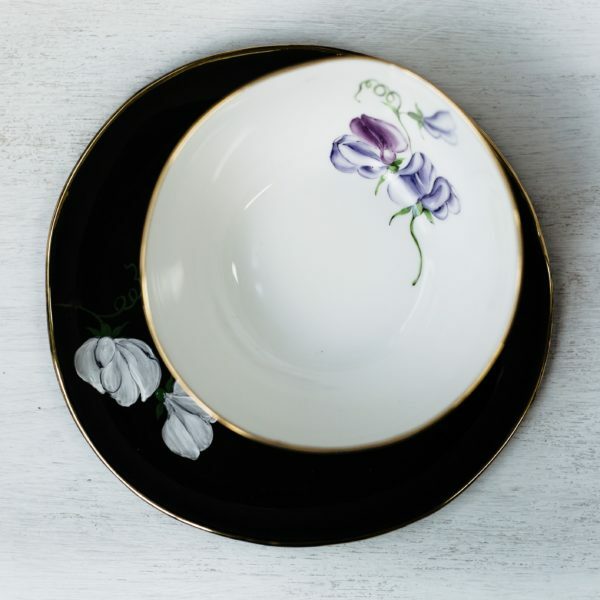 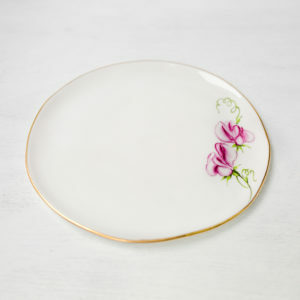 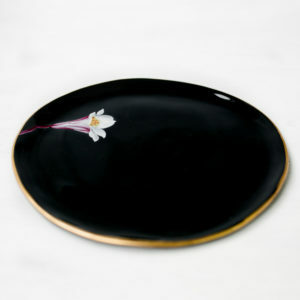 Slip casted Black Porcelain breakfast plate with hand painted Sweet Peas motive.Ideal to brighten up your morning. 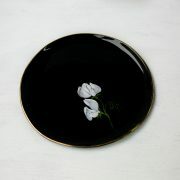 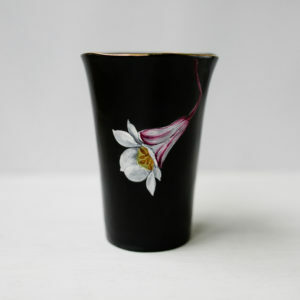 Has the beautiful, deep darkness of black and smooth, silky feel to the glaze on it. Each piece is 3 times fired. 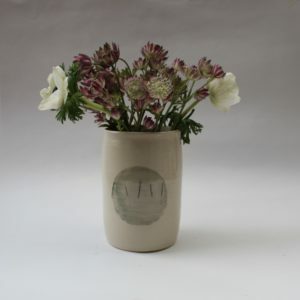 First the raw piece, than glaze applied and fired again. 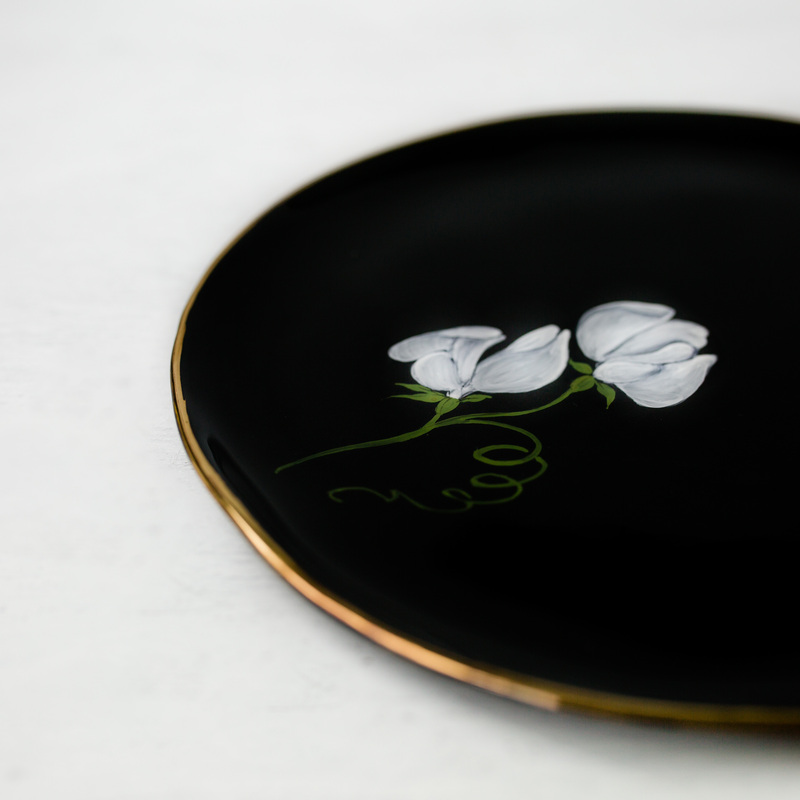 Final stage is the hand painting, where the porcelain colour painted in 3 layers on top of each other’s; base, outlines, and shadows. 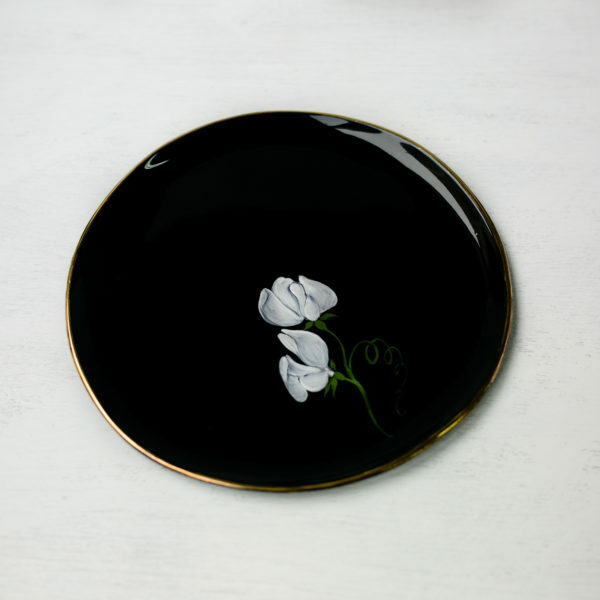 Gold lustre applied than to the rim, and fired again, where the porcelain colour sinks into the glaze, takes a shiny, glaze-like quality, and makes it permanent. 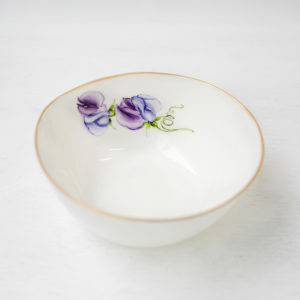 Sweet Peas are delicate, frilly flowers existing in a rainbow of colours. Meaning delicate or blissful pleasure, departure, good-by and thank you for the lovely time, this enchanting flower remains a favorite fragrant blossom. 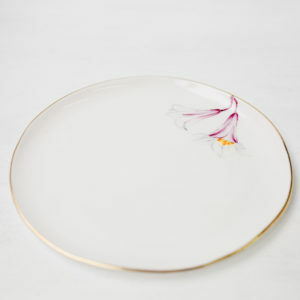 Their transient fragility inspired me to capture the full power of blooming, make it everlasting.